Respected Liverpool correspondent Paul Joyce has claimed in the Times Liverpool are still interested in Brazilian goalkeeper Alisson. The 25-year-old stopper currently starts for both AS Roma and his country – and despite the fact Liverpool stuck seven past him over two legs in the Champions League semi-final – is an elite goalkeeper. 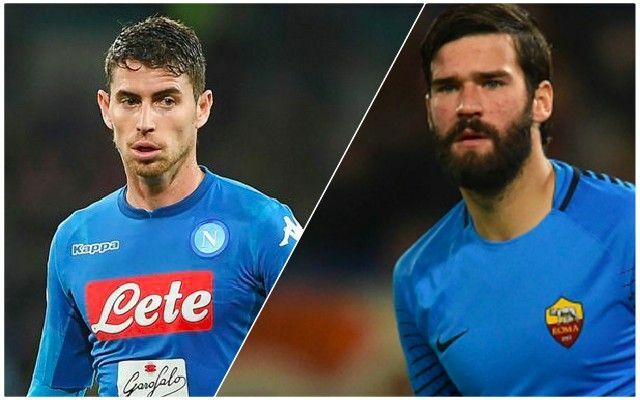 Joyce suggests though that buying him may be very difficult due to the price-tag which Roma will put on his head, influenced by the bargain £36.9m fee we paid for Mo Salah in 2017… If we cannot land Alisson, the journalist claims Danny Ward could be upgraded from third-choice to Loris Karius’s backup, interestingly, with Simon Mignolet likely to leave. This seems a little odd to us. If we’re trying to buy a top keeper to start between the sticks, this surely proves we need one!? What’s more, we cannot imagine Ward will want to stay as a reserve, as this season has been a waste for the Welshman, sadly. Beyond the no.1 situation, Joyce claims we won’t buy Jorginho, who’s Manchester City bound, sadly. The Italy international would be terrific as our no.6, but it seems Pep Guardiola has got his and Manchester City’s claws in. As a result, we’ll need to target another defensive midfielder, especially with Emre Can joining Juventus on a free. If we’ve missed out on Jorginho, perhaps Ruben Neves will come back into the fray. The Portugal international has just been promoted with Wolves, but is a terrific talent and we’d love to see him develop at Anfield.